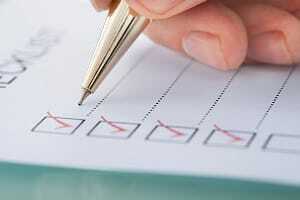 What’s on your health checklist? Maintain or achieve a healthy weight? Keep cholesterol and blood pressure under control?. Many people tend to worry about their overall health and give little to no attention to their eye health. However, taking care of your sight is more important than you may think. Your eyes benefit from good care as much as the rest of your body does. Follow these tips to keep your eyes and your vision in top shape. Eye problems are often not readily evident and you may not even realize that your vision has diminished until it’s checked by an optometrist. At Valley Eyecare Center we encourage you to schedule a comprehensive eye exam once a year to ensure your eyes are working properly and to check for any signs of disease or damage. The sun radiates UV rays that are not very safe for our bodies. Your eyes are very sensitive, so when going out, it is crucial that you protect your eyes with sunglasses to prevent any implications to your eye health. By doing this, you are already reducing the risk of getting cataracts and becoming blind faster. We have all heard the phrase, “You are what you eat,” but it can also be true when it comes to eye health. Certain elements in our diet can help prevent eye damage and strengthen eye tissue. Eat plenty of nutrient rich foods to maintain and improve your eye health. Did you know that home eye injuries are more common than injuries at school or work? From cleaning the house to mowing the lawn, an eye injury can be a daily occurrence if one doesn’t take the right safety precautions. Be careful with cleaning products and wear protective eyewear when needed. If you don’t smoke, don’t start. Research has shown that smoking increases your risk of macular degeneration, optic nerve damage and cataracts, conditions that can each lead to blindness. For more information about eye health or to schedule an appointment, visit our website.